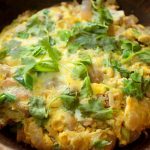 Keto Oyakodon - Headbanger's Kitchen - Keto All The Way! 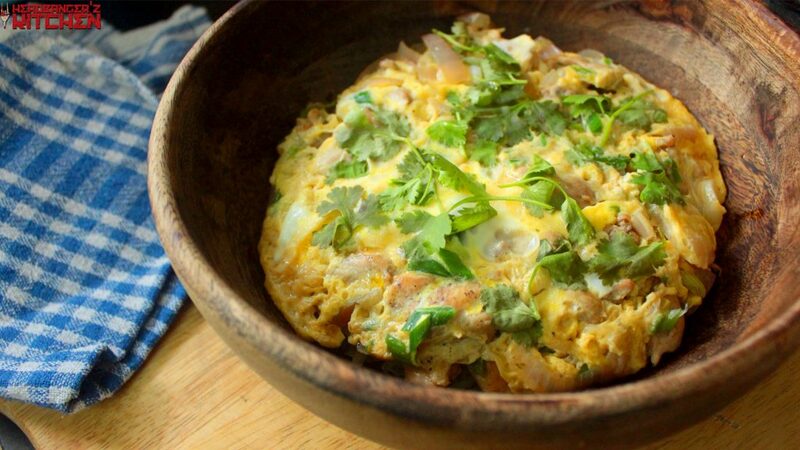 Oyakodon is a Japanese chicken and egg (translated literally into parent-and-child) dish and after watching a couple of inspirational videos about the dish and a particular restaurant in Japan that sells it, I decided to make my own Keto version. It’s a really incredible one pot dish and perfect when you want something quick and easy. Can Asian food be Keto? With all the various sauces in Asian cooking a lot of people ask this question. Sure there is a lot of sugary sauces but there are plenty of them without sugar. You can certainly make a lot of Asian food Keto friendly. I haven’t done too many Japanese dishes on the show but I have done a Keto Omurice. I’ve also attempted lots of Thai curries. I have made yellow Thai curry with fish, a vegan Thai green curry and even a Keto Massaman curry with beef. Do you have any requests for Asian dishes you’d like me to make Keto? Leave me a comment and I’ll definitely try and get around to doing it. This recipe makes 1 Serving. Doesn’t include the cauliflower rice. Get this recipe on myfitnesspal. A lovely Japanese chicken and egg dish. Cover and cooked to the done-ness of your liking. Finish with coriander and serve over cauliflower rice.